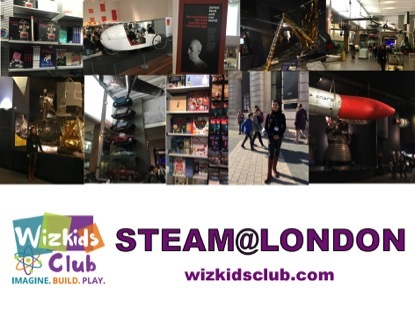 As a teacher or parent, you’re no doubt aware of the importance of STEM subjects for children of all ages, including pre-school. As the profile of these important subjects increases across the globe, we’re becoming more adept at not just integrating them into children’s daily lives but, also encouraging children to take an active interest. 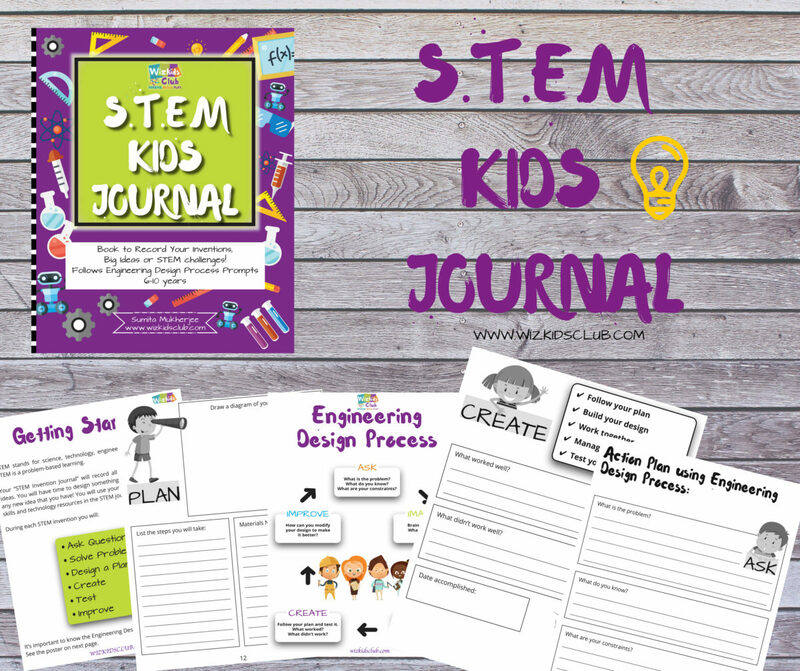 A great way of helping children build enthusiasm is to encourage them to keep a journal of their activities. It may be that, inspired by iconic books such as Diary Of a Wimpy Kid and Just Under The Clouds, your child already keeps a personal diary and, so, will be familiar with the process. Record all the big ideas and inventions. Solve a problem and rise to challenges. 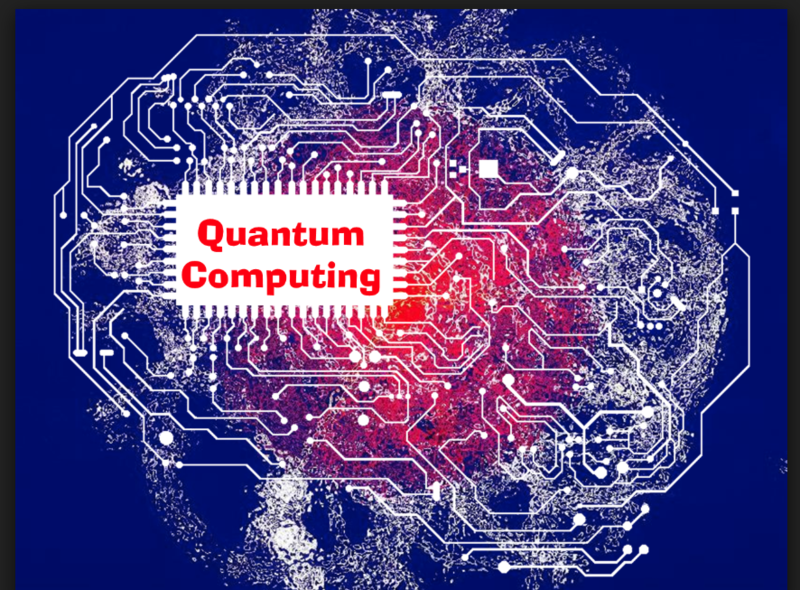 Put to use science, technology, engineering and math knowledge and skills. Decide who can look at the journal; will this be just your child, you and your child or, will you get to look at it only with your child’s permission? It’s worth noting that the privacy of the journal will have a direct effect on how honest your child feels that they can be when writing in it. 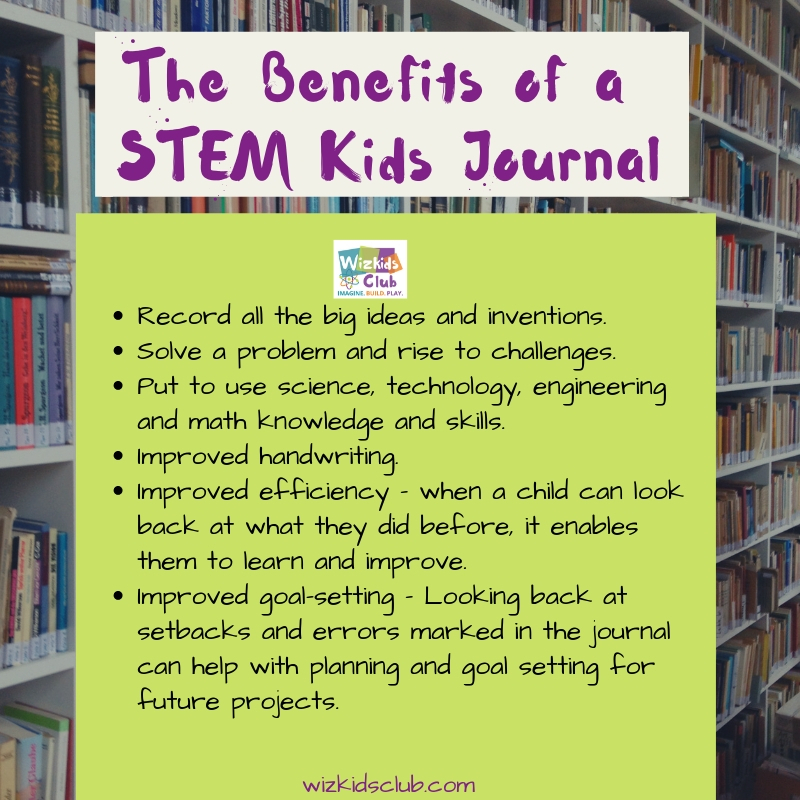 What format the journal will take – will this be a formal record or will your child be free to doodle, make notes and explore random thoughts? 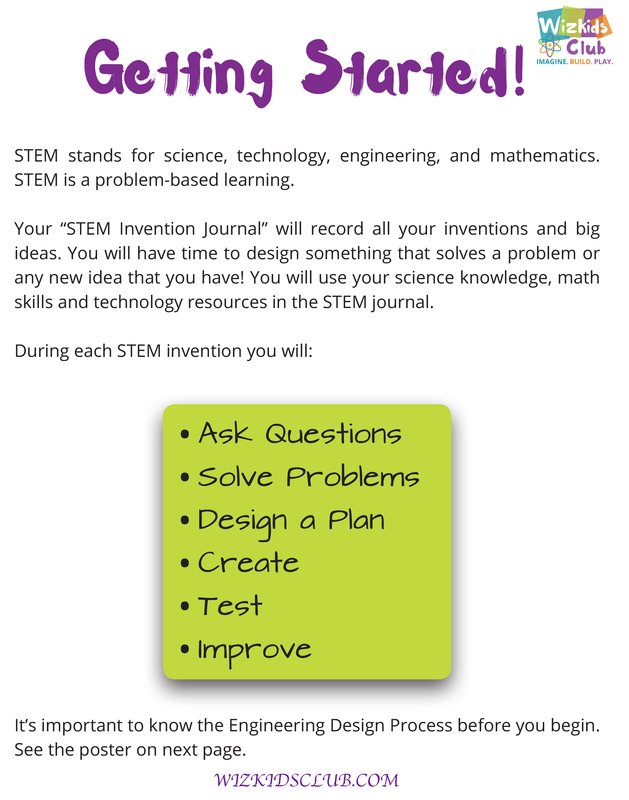 Will you have a separate journal for each subject or, one general STEM journal? What should the child do in his or her journal? Ask Questions – With any type of learning, it’s important that a child is encouraged to ask questions in order to understand fully the objective of the project. Solve Problems – The ability to identify and resolve problems is a fundamental part of our world and it’s never too early to introduce this into learning schedules. Design A Plan – We explore the importance of proper planning for a project’s ultimate success. Test – We look at measuring the success of a project; did it work? If not, why not? 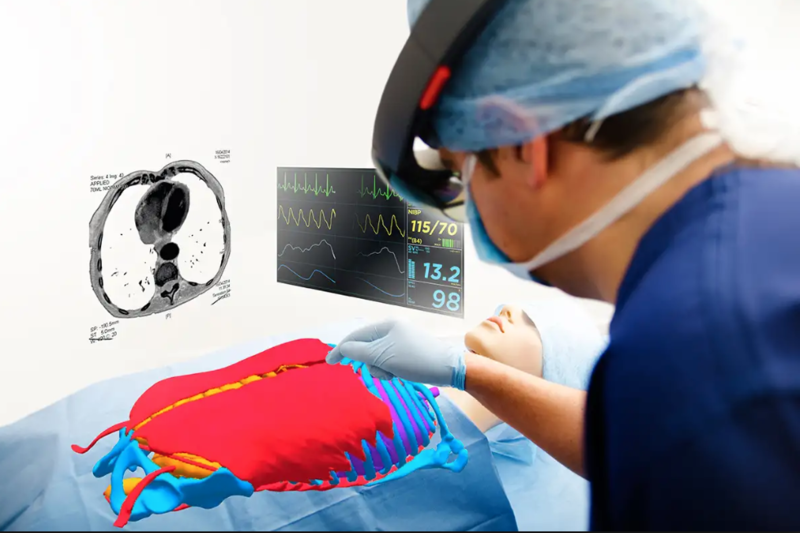 Improve – Finally, we take what we’ve learned and use it to achieve better results for the next project. It may be a while before your child is competing with Mr Branson but, encouraging them to record and analyse their STEM work is a great start. As we settle into 2019, it’s time to take stock and take charge. At this time of year, apathy can set in for teachers and students alike so we’ve put together our guide to supercharging your classroom for the year. 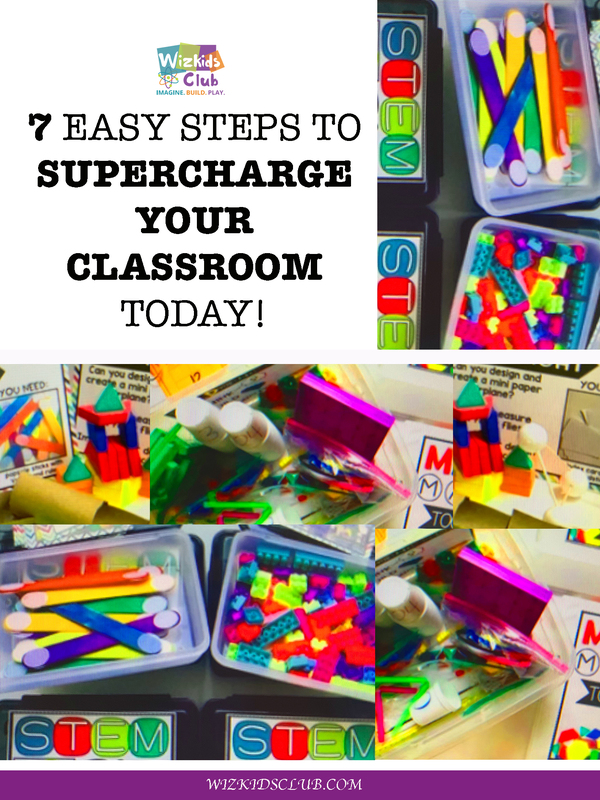 7 EASY WAYS TO SUPERCHARGE YOUR CLASSROOM! In order for learning to be effective, students need to understand what their goals are and, how to achieve them. As a teacher, it’s your task to make sure that each and every student understands the why and how of their learning path. 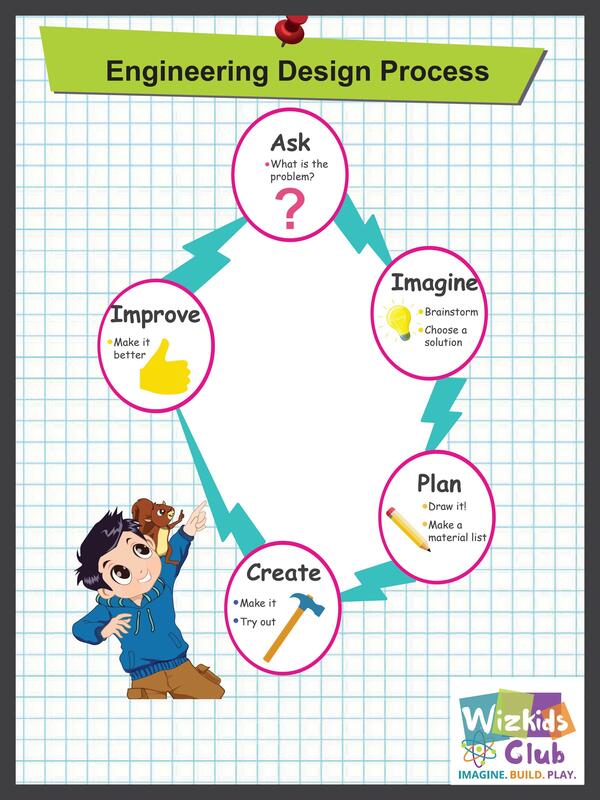 Try adding a large chart to the classroom which details every step of the journey to reaching the overall goal. You can buy these online or, if you’re feeling creative, make your own. A visual reminder is a great tool for keeping students on track as they progress through the year. 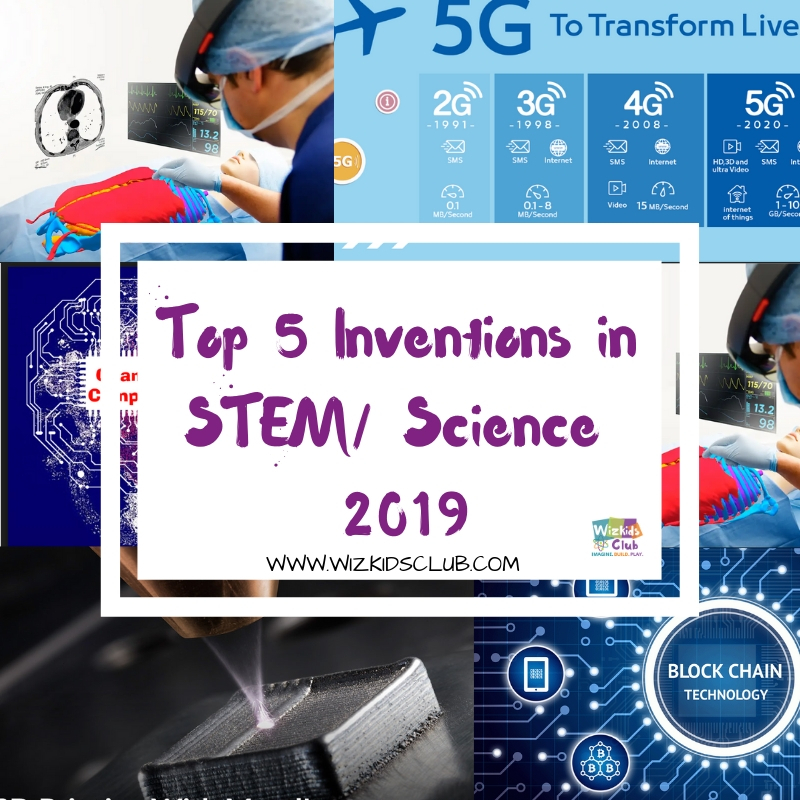 In 2019, introducing STEM learning to classrooms is more important than ever before. 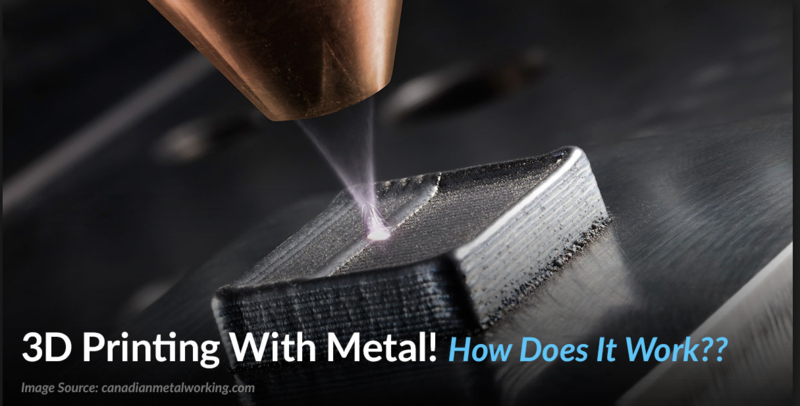 Even if your school doesn’t officially have a STEM curriculum, you can introduce these subjects into other lessons – for example, you can introduce engineering by discussing with students how objects in the classroom work and operate. 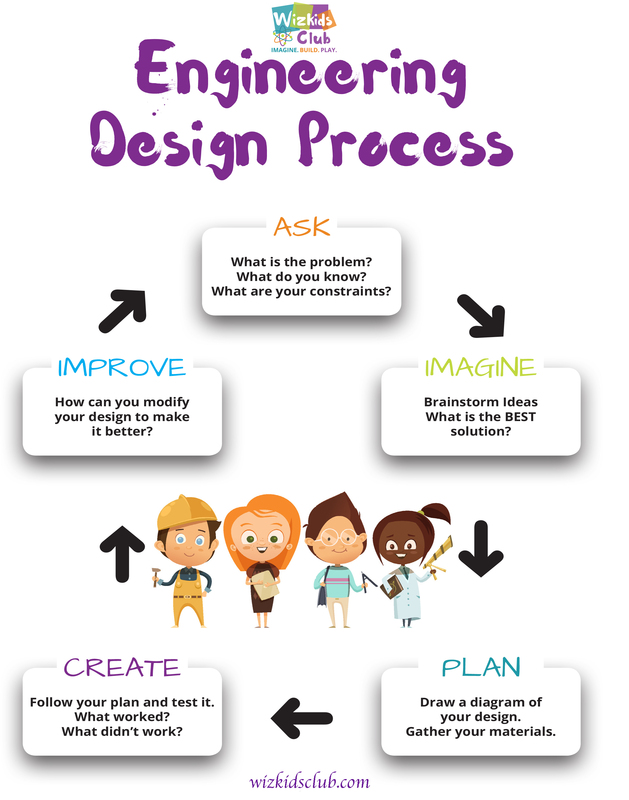 Introduce the engineering design process and work with it. Encourage students to think about their studies outside of the classroom by introducing mini-projects. Each Friday, try asking students to bring back an item from nature found during their weekend. This can be a simple leaf or a fossil or shell and can form an ongoing discussion about the world around us. 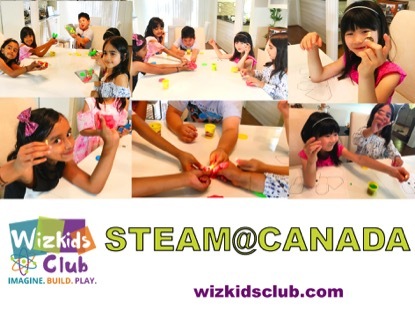 STEM Bins and STEAM Bins are an ideal hands-on solution for early finishers, morning work, centers, fine motor practice, indoor recess, teambuilding, calm down centers, Makerspaces, or positive reinforcement of behavior. 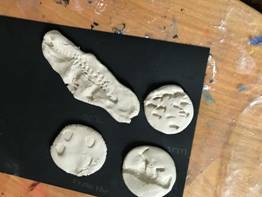 They are also a creative and developmentally appropriate form of engineering for elementary students. The management of STEM Bins depends on you completely, as they can be used during multiple times of the day. “Challenge Yourself” cards take structures to the next level, allowing students to improve and enhance their structures. Provide blueprint recording sheets, flipbooks, and writing templates that can be either copied for each student or placed in page protectors for students to draw creations with a dry erase marker. Writing Prompt cards are also provided to allow for literacy extensions. 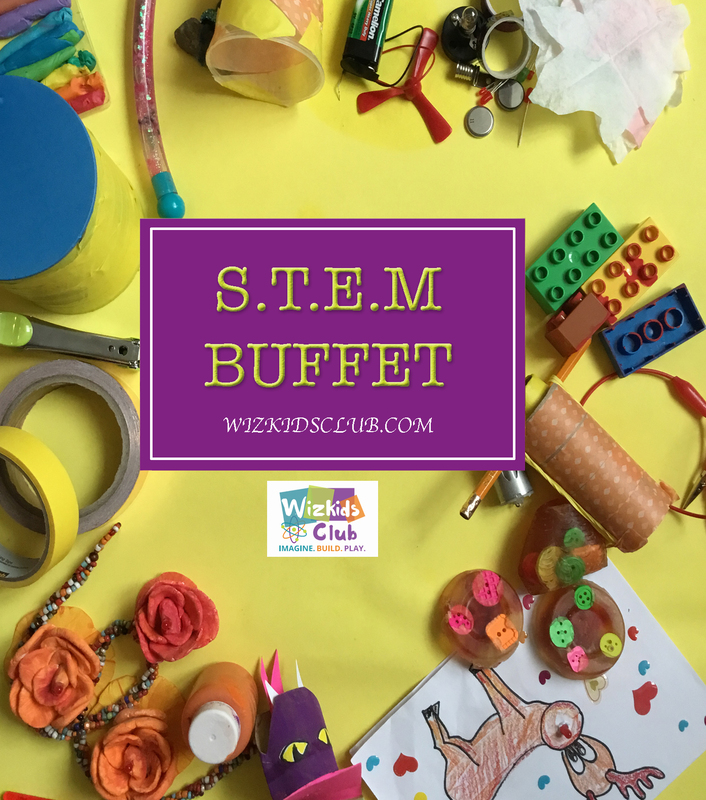 What can be in STEM bins? What Are My Students Learning? One of the best ways to keep your classroom running smoothly is to get your students involved. Assign each student a chore or task such as collecting books or taking attendance in order to make students feel that they are an integral part of the process. In order to introduce new knowledge to your students, try starting with what they already know. 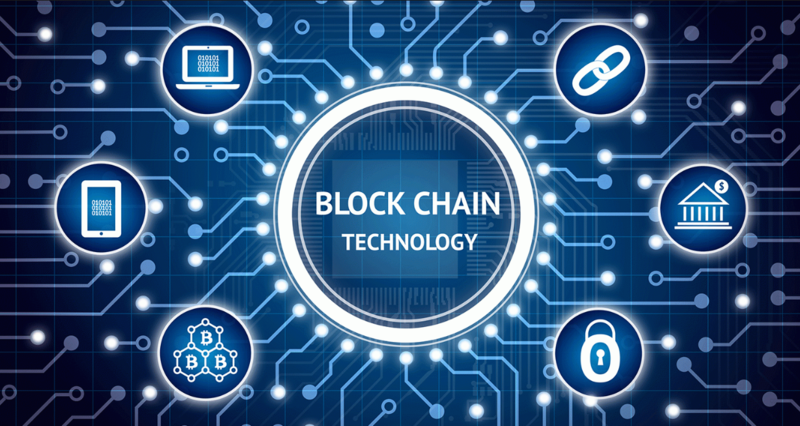 For example, during lessons on technology, ask each child for an example of technology in the home and put these on a chart. This will help students to assimilate new information by starting with something familiar. They say that a driving student who has first been given lessons by a parent or friend automatically brings bad habits to the learning process and, the same can be said for classroom learning. At the start of a new lesson, students will often have preconceived ideas about the subject picked up from their parents. Encourage students to look at a subject in different ways and to explain their own ideas in order to challenge them. Sticking with the STEM theme, try introducing one new inspirational figure every week, such as a famous inventor or scientist. 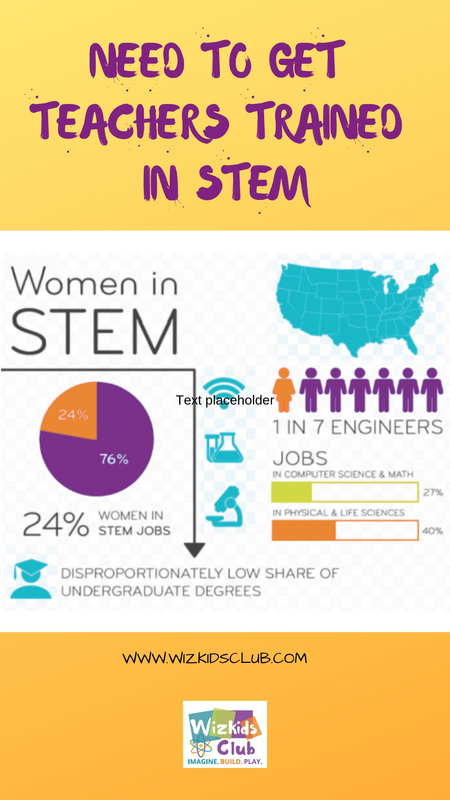 Make sure that you keep these even in terms of gender and spread them across the STEM subjects. Start the week by putting a picture and mini-bio of the subject on the wall and encourage discussion of their achievements in order to inspire students. By getting your classroom organised and introducing new ways of thinking, you can make sure you have a great year – and help prepare your students for the next stage of their education. 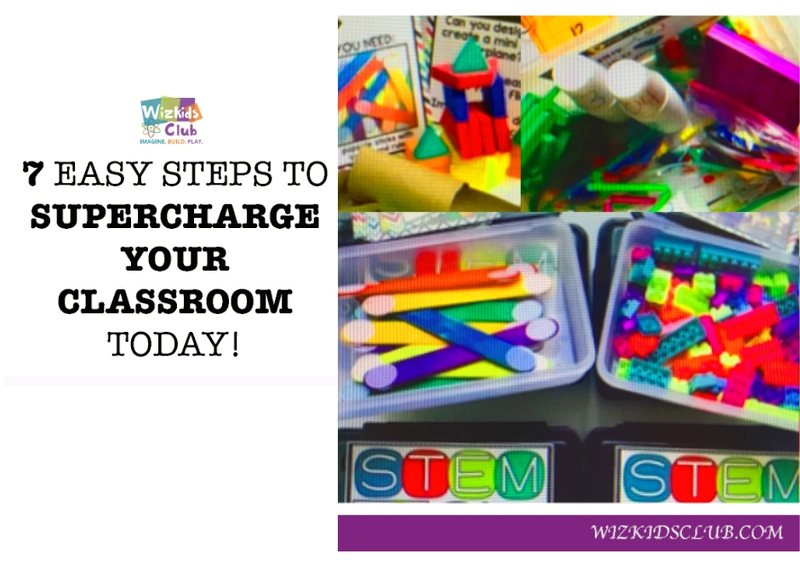 We all know how important it is to introduce STEM and STEAM activities into pre-school but, how do you find the time to source and plan them? 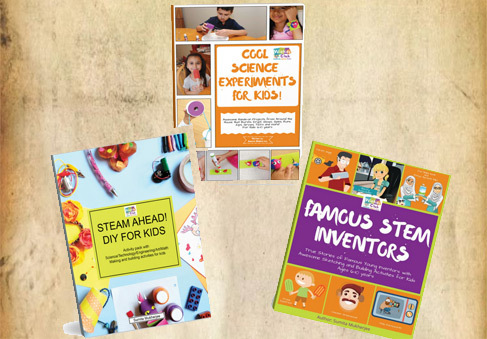 As a pre-school teacher, you’ve usually got your hands full just keeping up with the day to day curriculum but, don’t worry, we’ve put together our 40+ favourite STEM and STEAM activities for you. 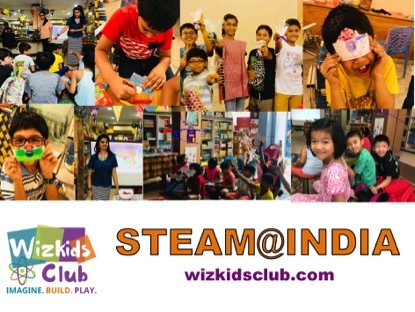 You can find the details in the new WizKids book, Next-Gen STEAM Pre-school guide. 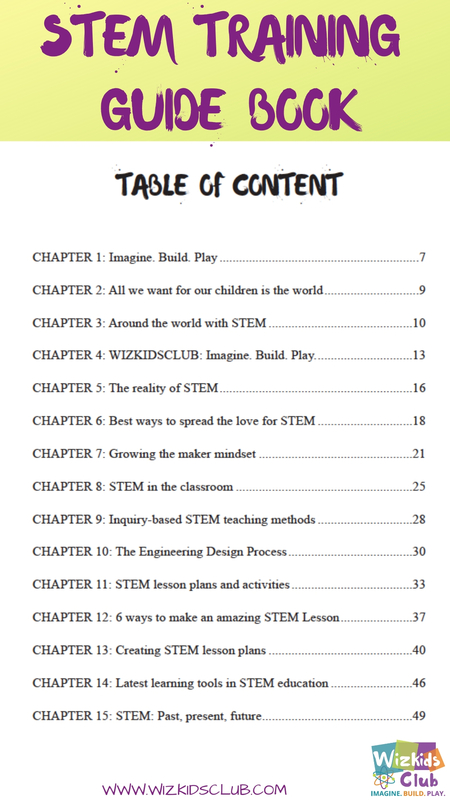 In the Next-Gen STEAM Preschool guide, kindergarten students become scientists, engineers and environmental stewards as they gain and develop the 21st century competencies needed for tomorrow’s highly skilled workforce. 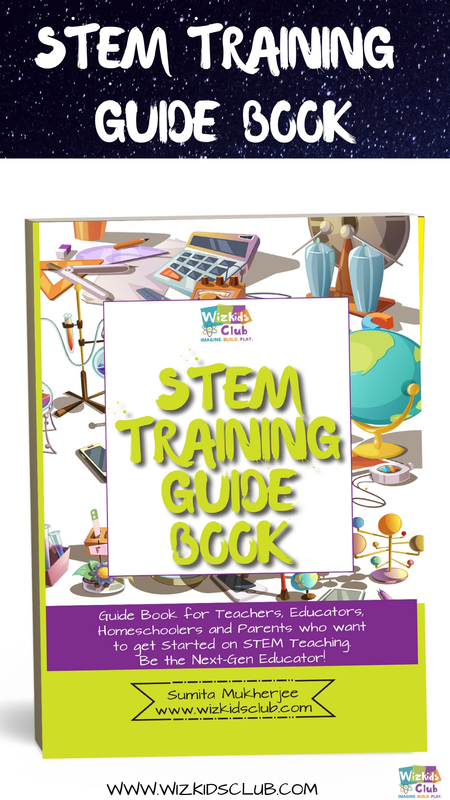 Over 10 modules, the book includes the latest in science and technology and, each module is divided into four units, providing 40 hands-on projects with a 60 minute lesson plan formula. This is an exciting place to begin as it covers subjects familiar to young children in playful ways they’ll easily understand. 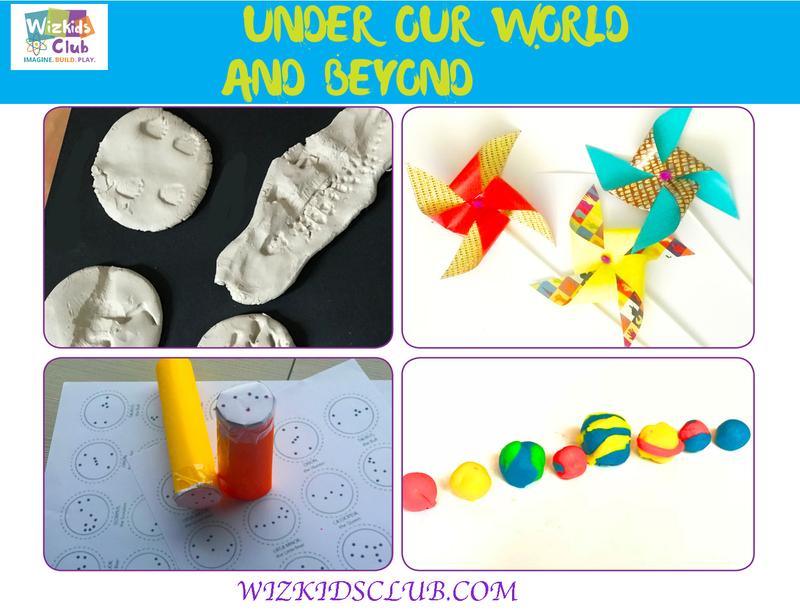 Building houses, magnetic fishing, exploring colored light and making musical instruments are super-creative activities kids love to do. 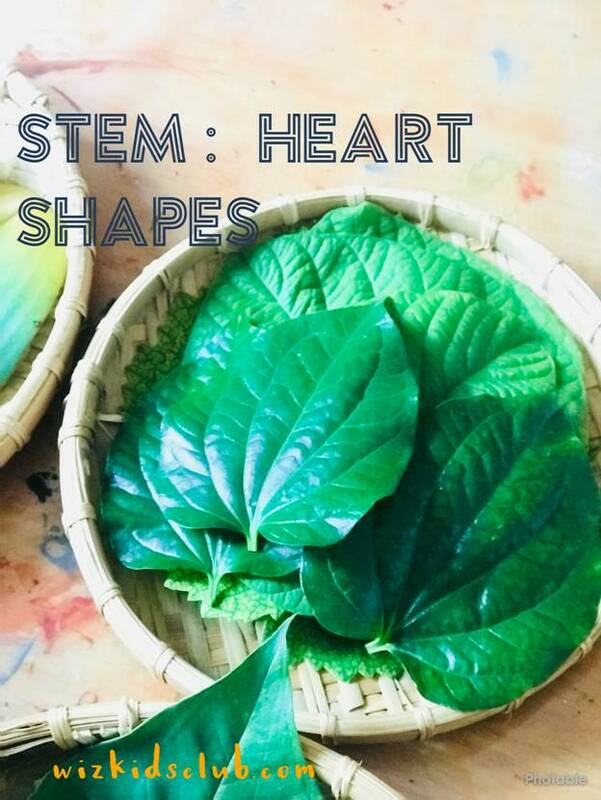 What better way to introduce STEM principles than through familiar play? 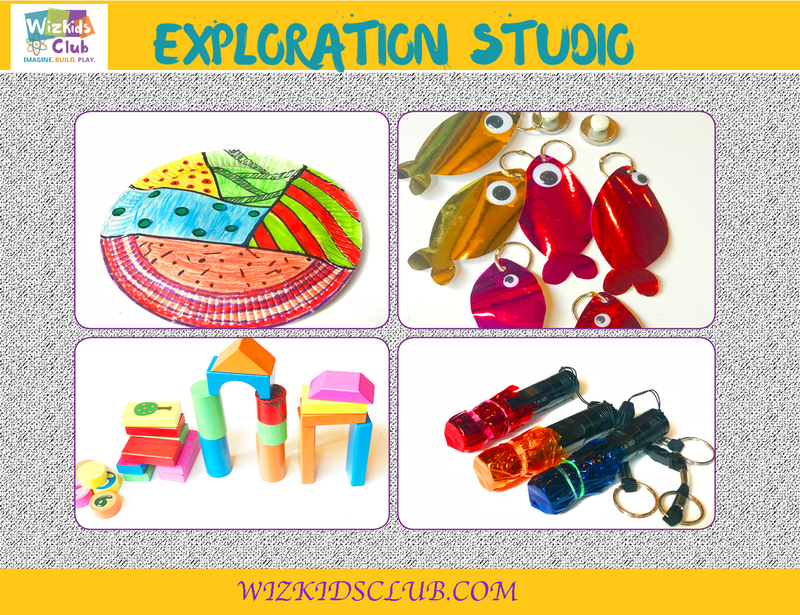 There are four sections in Exploration Studio covering STEM careers such as architecture, acoustical engineering and the science behind magnets, light and colors. Through recommended storybooks, videos and songs, the ‘magic’ in each module is unveiled. Songs and story activity enable very young kids to engage immediately and guide their minds towards scientific learning. 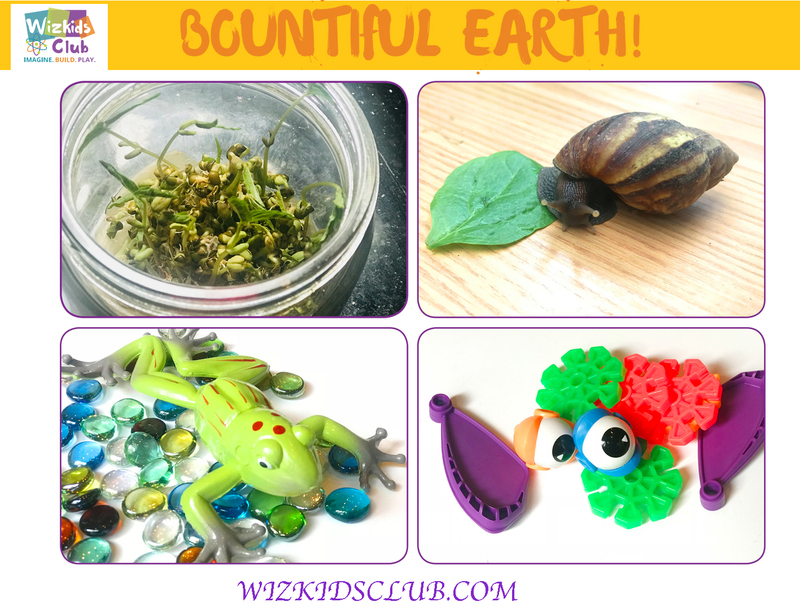 With a magnifying glass in hand, kids will investigate our bountiful earth and things in nature. They’ll learn the difference between insects and spiders, study habitats and environments. They explore life cycle and organisms in our world using STEM toys and aids. They inquire about different animals in a pond setting, land and more. It will fascinate them. 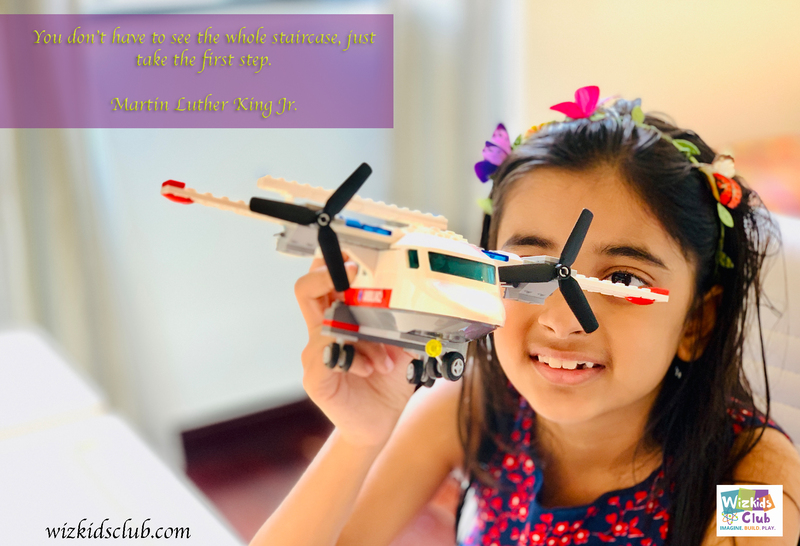 The kids will tinker with K’Nex®, stimulating toys and their creativity will reach new heights. Imagination and fun is key to keeping them engaged while books, videos and sing-a-longs are boosters to scientific learning. They’ll even get to grow their lunch! What can be better than this? Part three introduces kids to what lies beneath and beyond our planet. They’ll investigate and examine the mysteries of the night sky and far away constellations. Watch how excited they become when they begin to understand the science behind the weather. 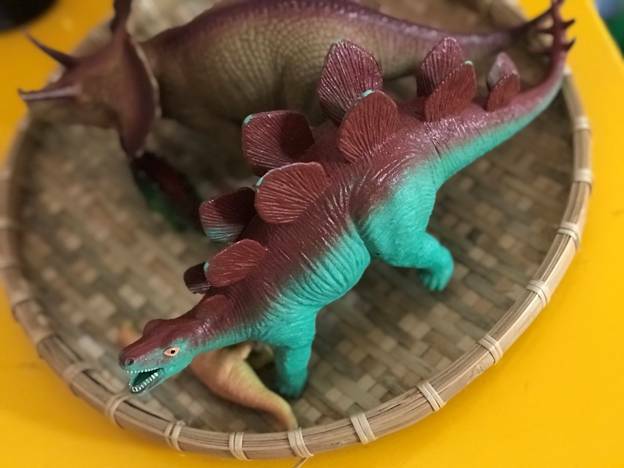 Every child is fascinated and enthralled by dinosaurs; STEM expands that interest to show them how life first began on earth and explains how we know what we do about the beginnings of our planet. Explore careers as paleontologists, meteorologists and astronomers. 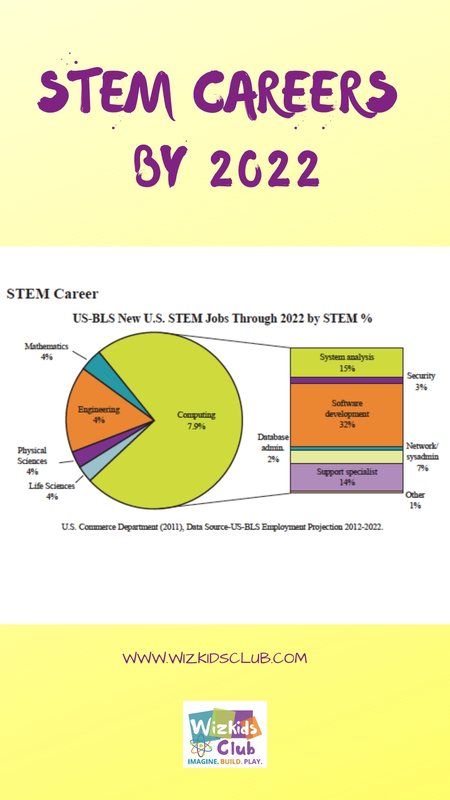 Become a mechanical engineer and use engineering, physics and math to design and make mechanical things. 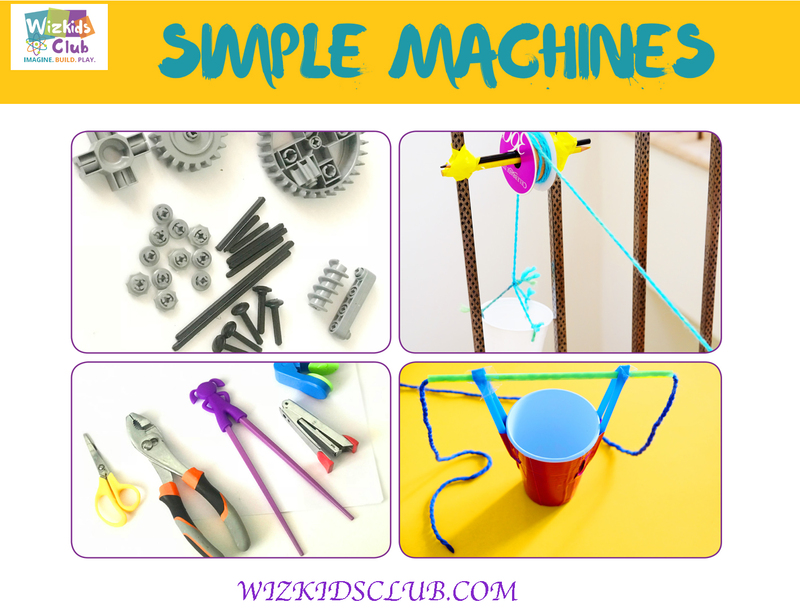 Experiment with simple machines and learn how they work. Screws and Gears, Pulleys, Wheels and Axles, Levers and Inclines are all simple machines we use in our everyday life. 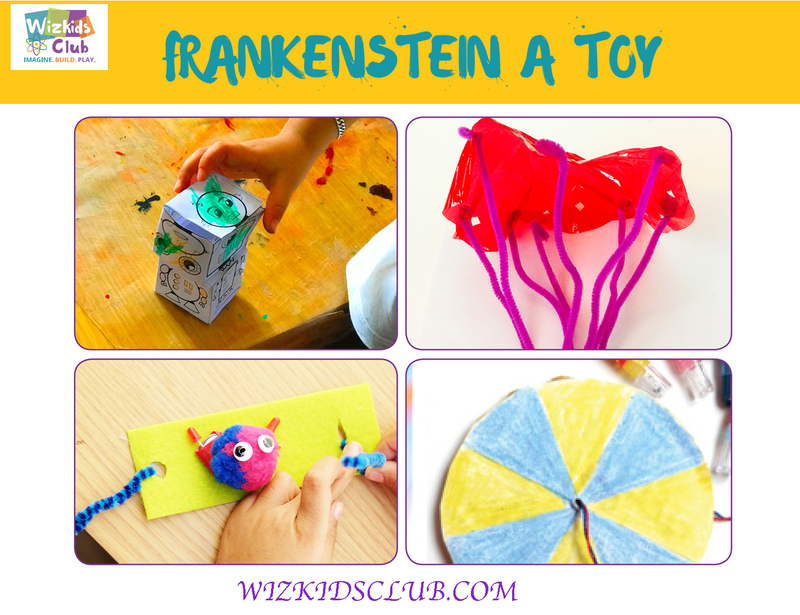 Explore easy ways to tinker with them and make things in class or at home. Like Snow White’s Dwarfs, all work begins with a song so Hi Ho, Hi Ho, it’s off to work we go! 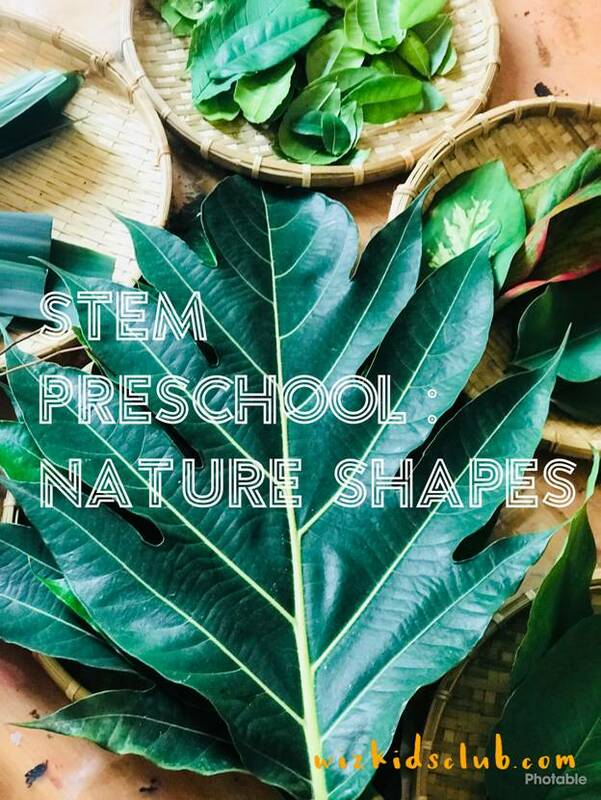 Nature gives STEM a huge canvas to work on and this section is filled with geology and archeology projects and learning. 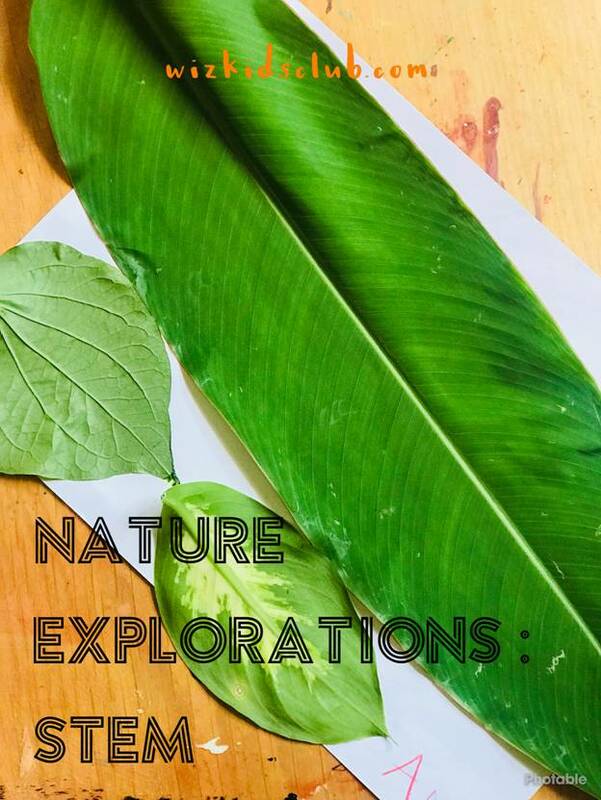 There is so much in nature to discover and examine, from organic and geometric shapes to rocks. The kids make crystals and beehives using science and math along with art in the most fun a preschooler can have. 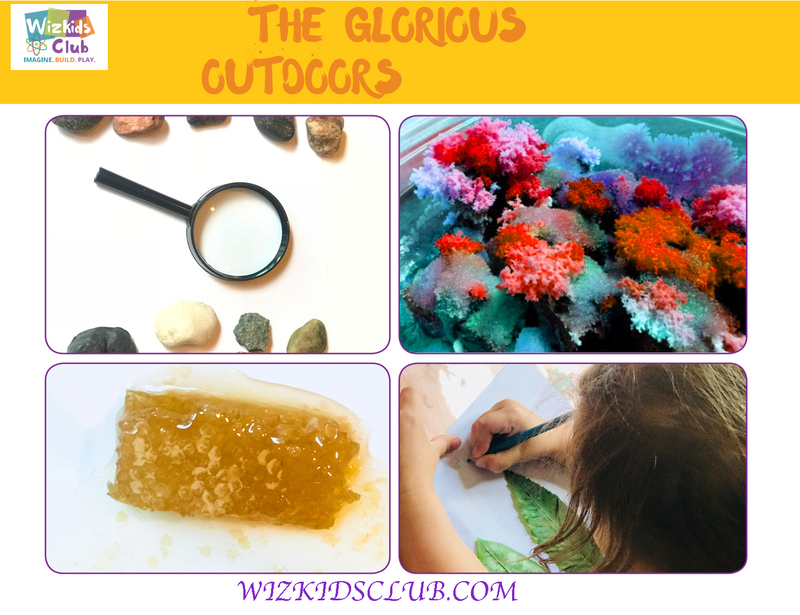 Collecting pebble ‘treasures’ is a favorite with this age group and the ‘wow’ factor as they learn that some rocks float and they can make crystals is enormous. Soften the rocks and crystals with bubbles and leaves to open the kids’ minds to the huge diversity in Mother Nature. Science + fun = learning. 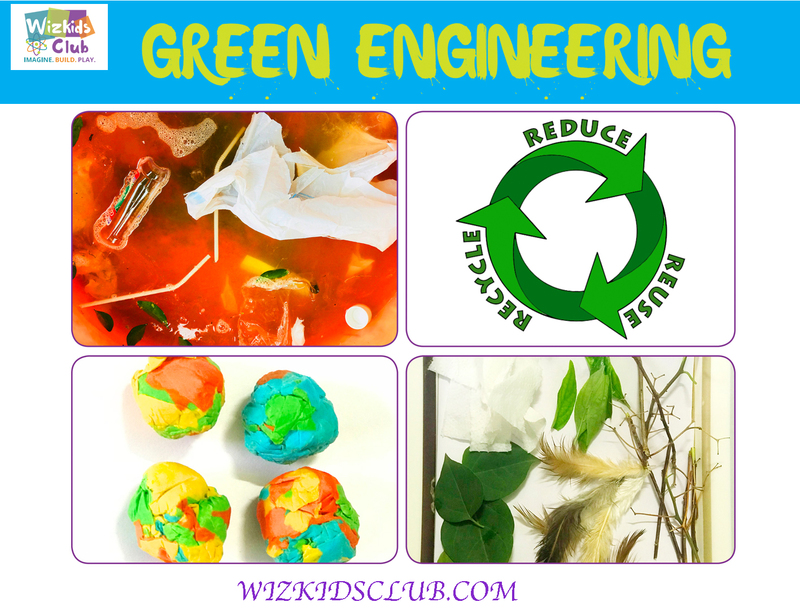 Green Engineering is a prime skill that is growing in demand. 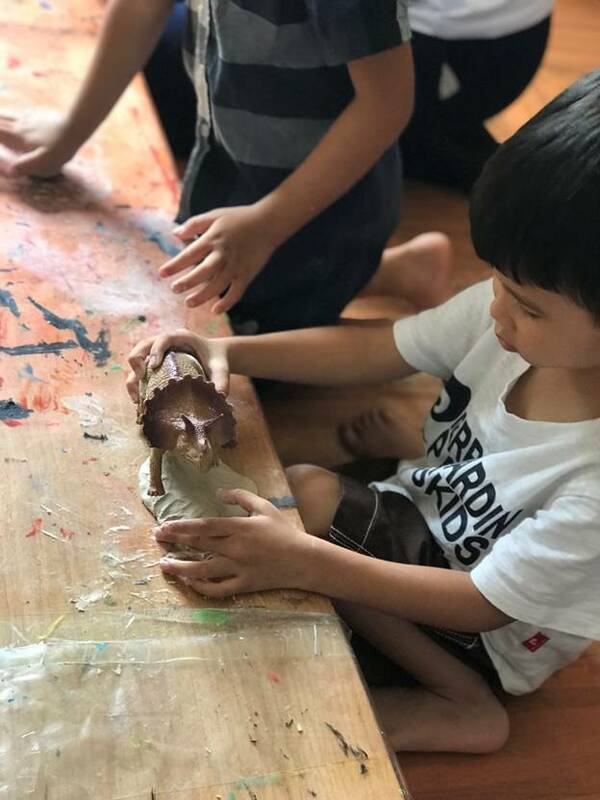 Teaching kids to think creatively and to find alternative ways of treating waste and protecting the environment prepares them for the jobs of the future. 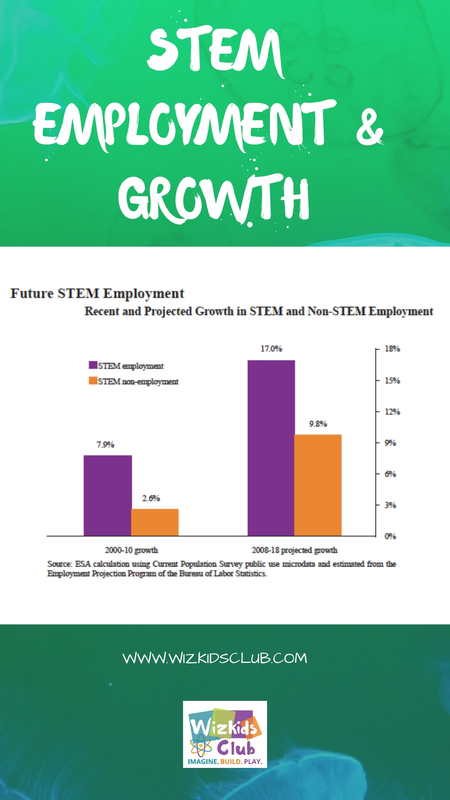 Environmental science is the core foundation of STEM careers. Through recycling and reusing of waste, the kids learn that single-use is no longer acceptable. Everything we use has to have more than one life if we are to make the earth a happy one! 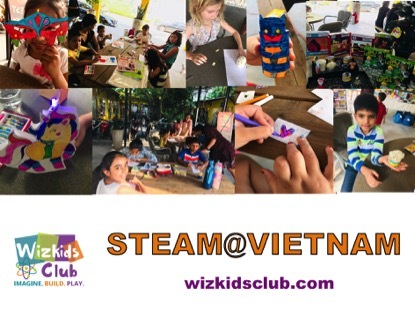 Kids will learn concepts such as green engineering, upcycling and reverse engineering as they tinker with loose parts, take things apart to find out how they work and use their imagination to invent toys and other things. Chemistry is boring! No, it’s not so put the book down and show the kids that chemistry is all around them. Without chemistry, there would be no magic tricks or fireworks, or cookies! Chemistry is why apples turn yucky brown when they are cut open and lava lamps ooze and squirm. 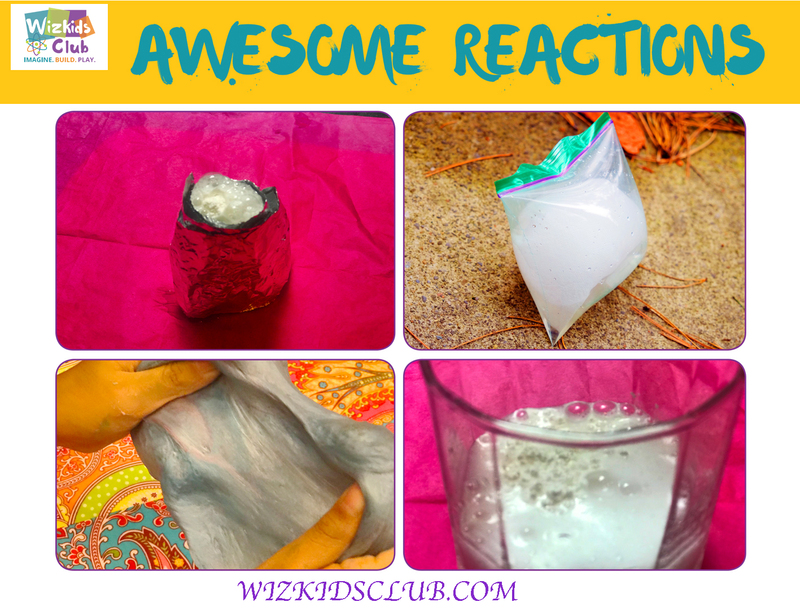 Part 7 turns the kids into Chemical Engineers, making their own volcano and yucky slime! They’ll even get to make an exploding lunch bag, watch out! Lab coats and safety goggles essential for this section. 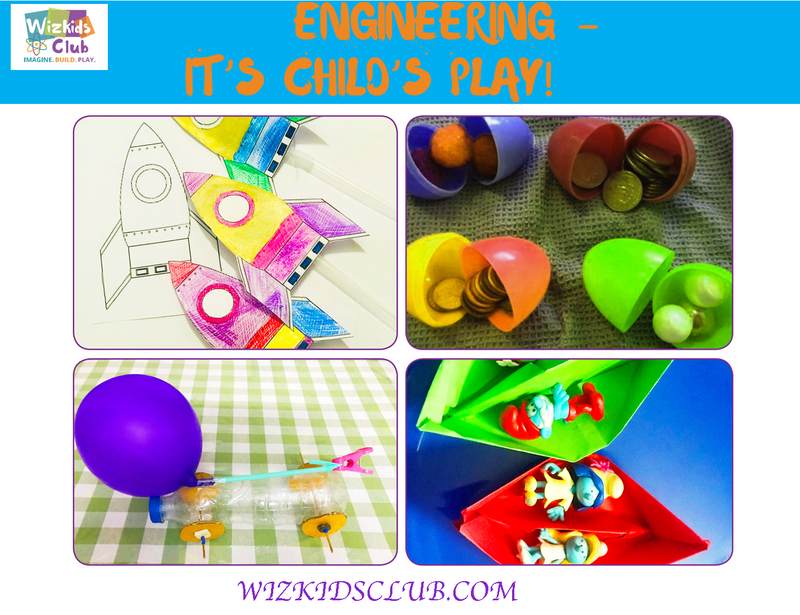 8) ENGINEERING – IT’S CHILD’S PLAY! Transportation plays an important role in everyday life and it easily engages any young kid. Cars, buses, trains, planes and boats may be familiar to them but how about space rockets and submarines? Without them realizing it, learning more about these everyday machines exposes the kids to engineering concepts. And is awesome fun, too! identification factor and not just for catching a crook! Open doors, start your car, turn on your computer – but what is a fingerprint and why is it unique? 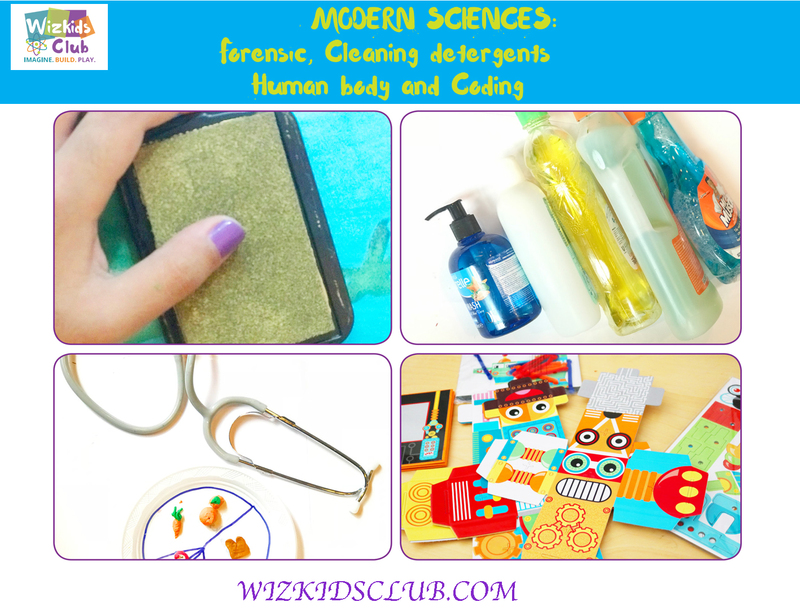 Watch the kids’ faces as they compare fingerprints – STEM magic! 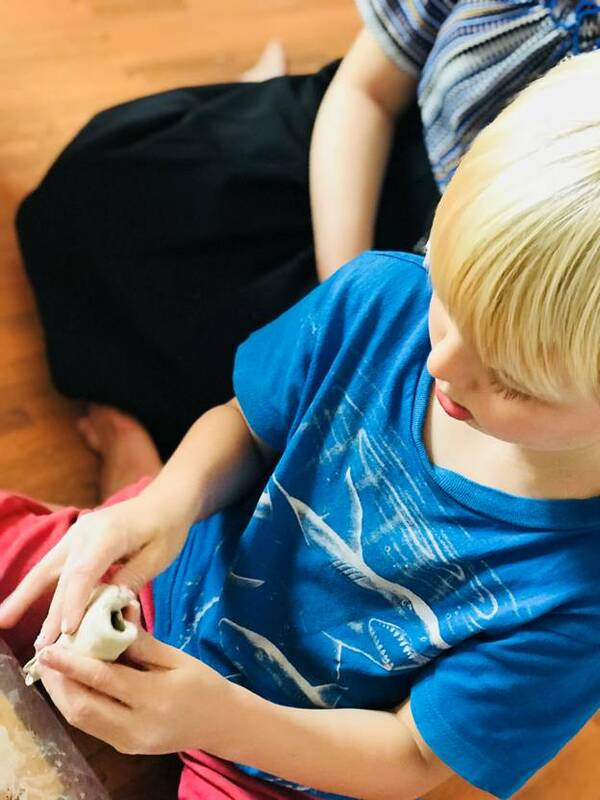 They’ll also learn about the chemicals needed to clean things and some basic body biology – how the right foods make them grow and keep them strong. Coding is a critical component of computer science and kids are never too young to understand the principals. Get set to blow their curious minds! 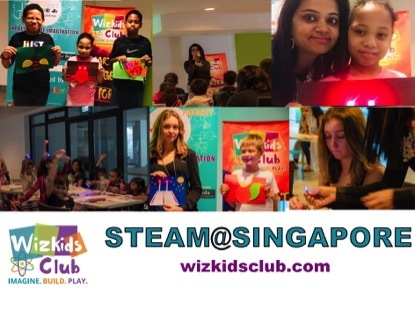 Let the kids become a Toy Designer and create toys using science and engineering! 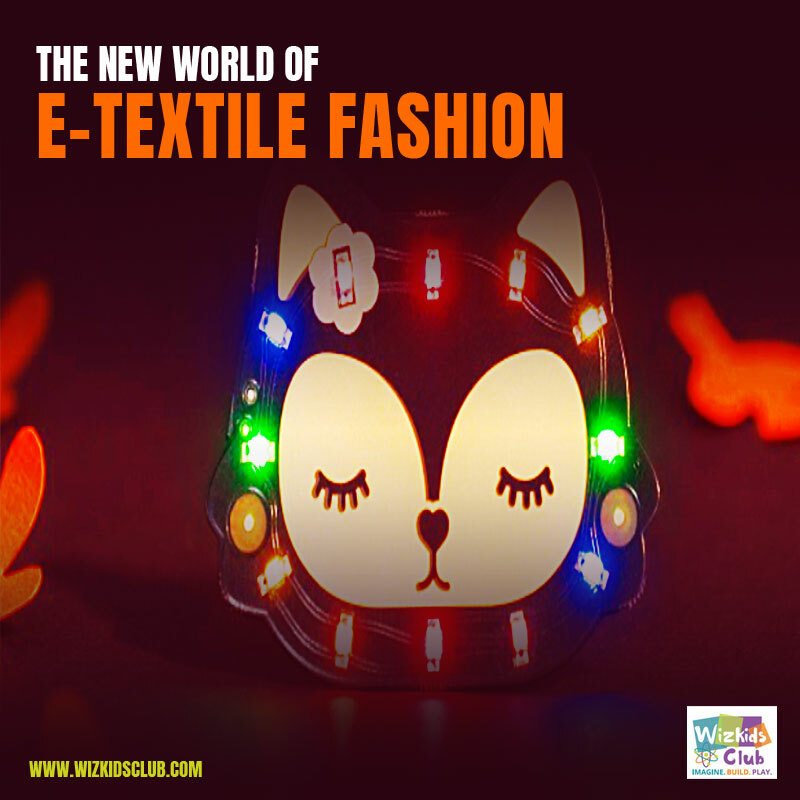 They’ll learn to make 3D robots and make them glow with LEDs. 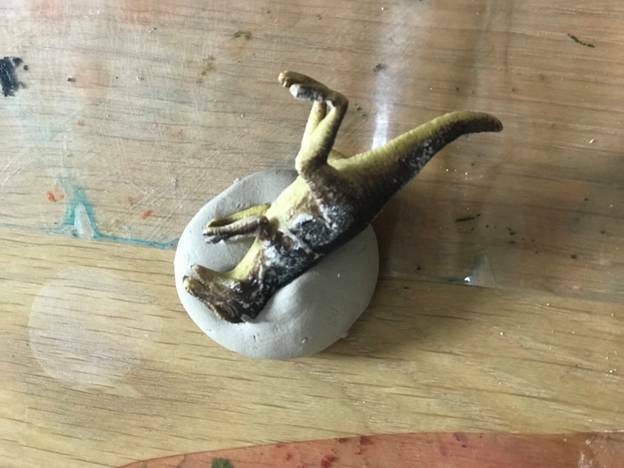 Why do things fall to the ground when they are dropped? Make their own falling parachute and find out about gravity and air resistance. Showcase the superhero in the kids with the light-up superhero wristband! 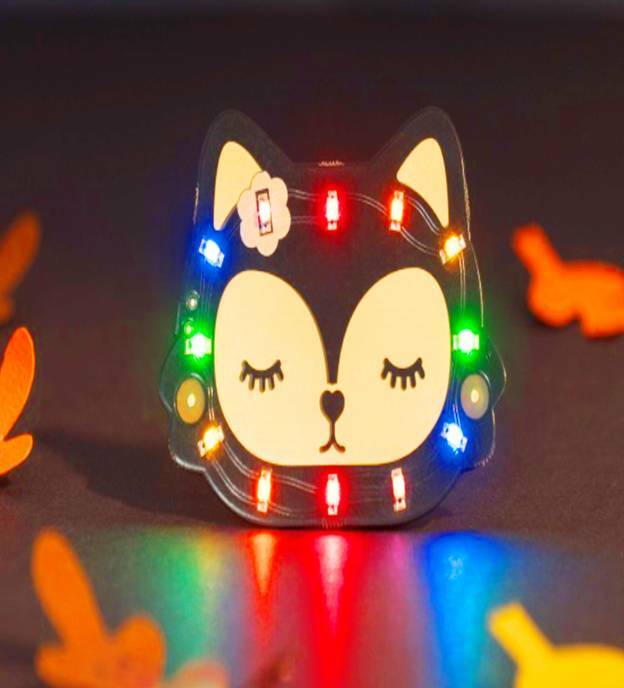 Mix simple and safe electronics with science to come up with their own creations. Can light be separated? Let the class make color spinners and test their eyes! Spin it fast enough and all the rainbow colors turn white. Magic? No, it is science! 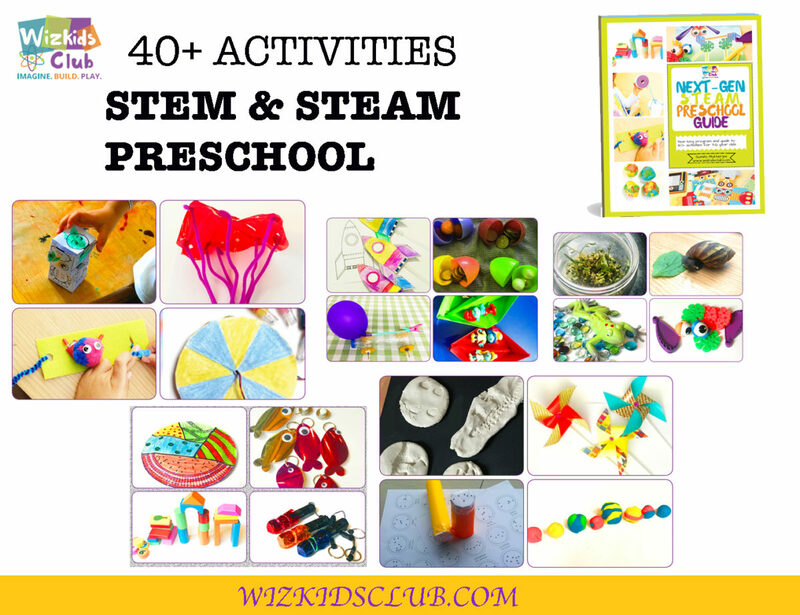 Building early literacy through STEM books and play. 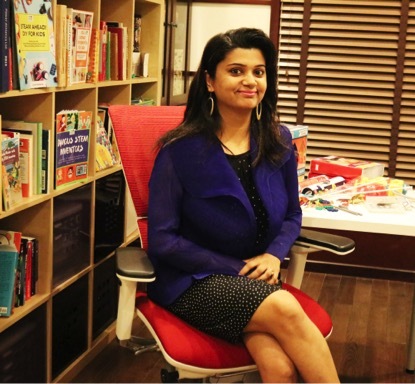 Sumita Mukherjee is a NASA STEM certified leader and children’s book author. She has been fortunate enough to travel around the globe, explore many countries and meet different people. Mysteries and adventures have been captured from there in the form of her Keiko Kenzo STEM travel adventure series. These books are to inspire young readers to know and appreciate various countries, develop a love for discovery and learn about the world around them. 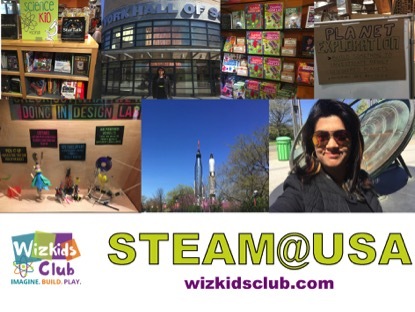 Her series of STEAM (Science, Technology, Engineering, Art and Math) books encourages kids to invent and explore, to empower themselves and see themselves as world leaders and problem solvers. Her books celebrate diversity, spark curiosity and capture children’s imaginations! Sumita currently lives in Toronto with her family. Review for Next-Gen STEAM Pre-school guide. This book is so much fun! Even as an adult, I want to do some of these activities. 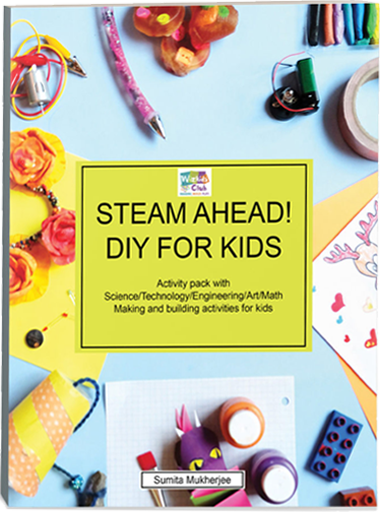 This STEM book is made for preschool aged kids, and it does a great job at simplifying science for 3-6 year olds. The activities are fun and keeps their attention span really well. This is also a great way to introduce and encourage biology, physics, design, etc. 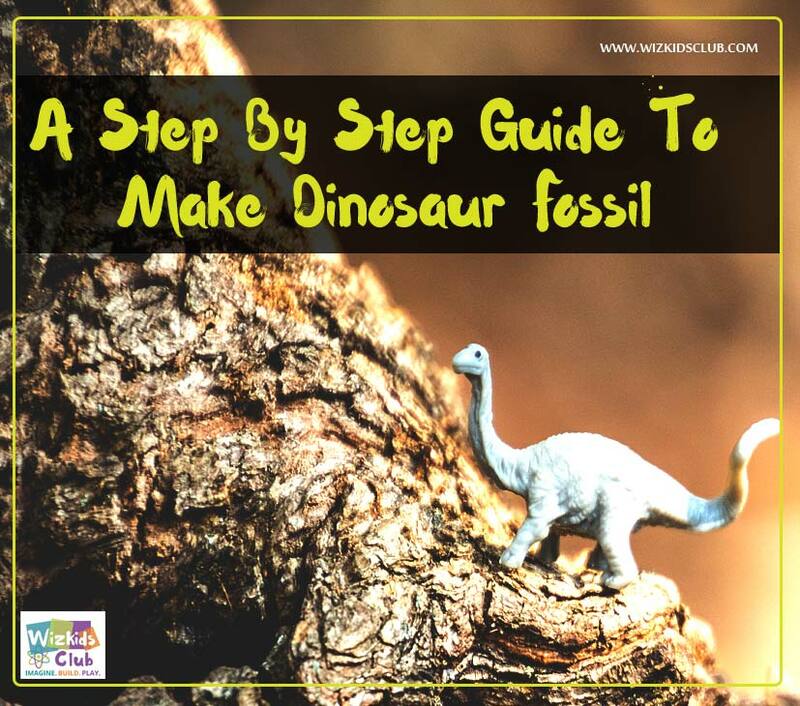 These may sound like big words for a preschool book, but this guide builds a foundation to encourage children to learn and expand their world a little at a time. This is definitely being added to my education arsenal. 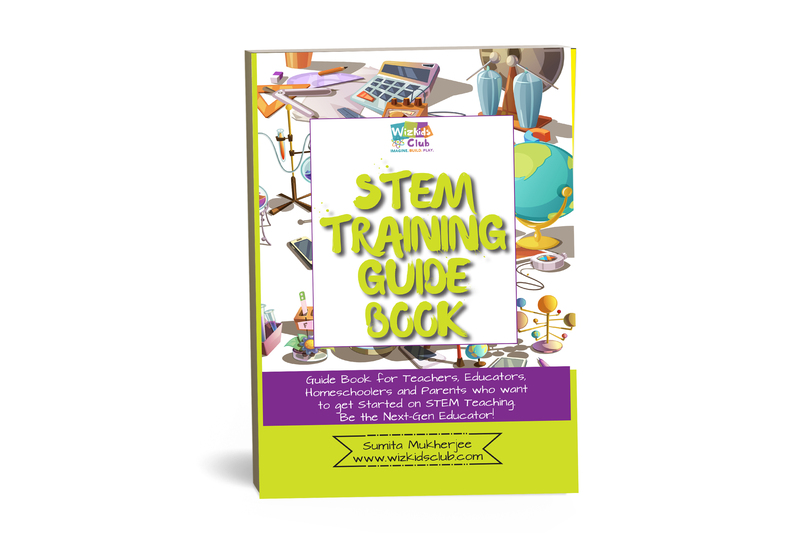 Author SUMITA MUKHERJEEPosted on February 12, 2019 February 13, 2019 Categories UncategorizedLeave a comment on STEM TRAINING FOR EDUCATORS IN LESS THAN A DOLLAR! Encouraging a love of nature is gifting your child with unlimited resources of free and fulfilling entertainment. 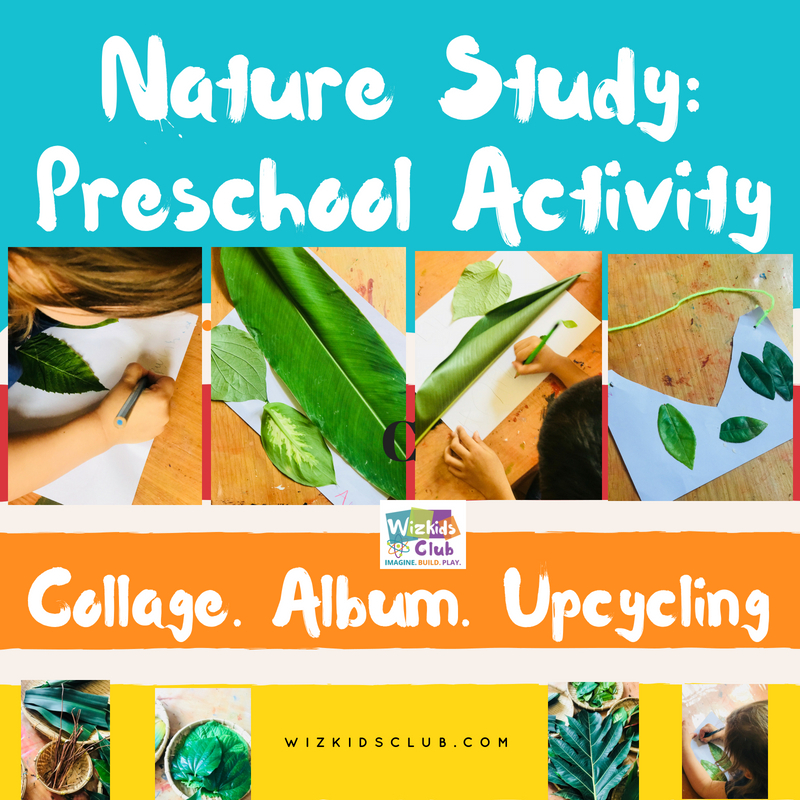 Thus we will be learning here to create a Nature Collage – A Pre-School Activity. The best part of being a nature lover is that it’s all around us – you don’t need to live in the country or near the sea to be able to enjoy Mother Nature’s gifts; all you need is a park, nature reserve or wooded area. 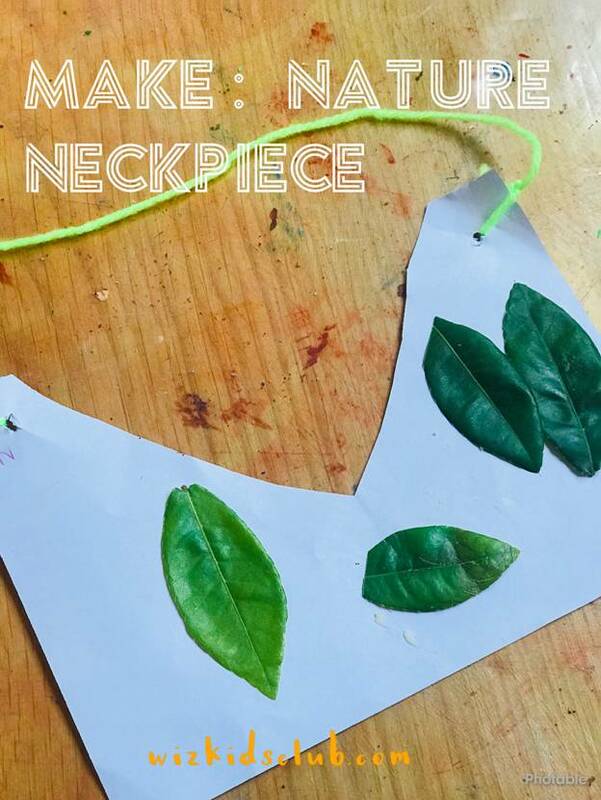 A great way of encouraging your child to embrace nature is to help them to make their own nature collage – a pre-school activity neck-piece. 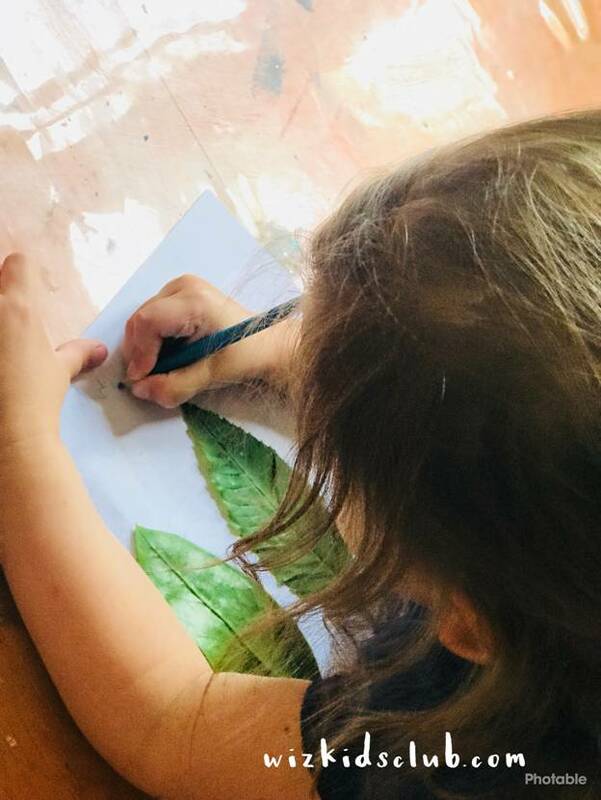 As well as making a fun item for your child to keep, this activity involves spending time together outdoors and helps to hone their observational and identification skills. 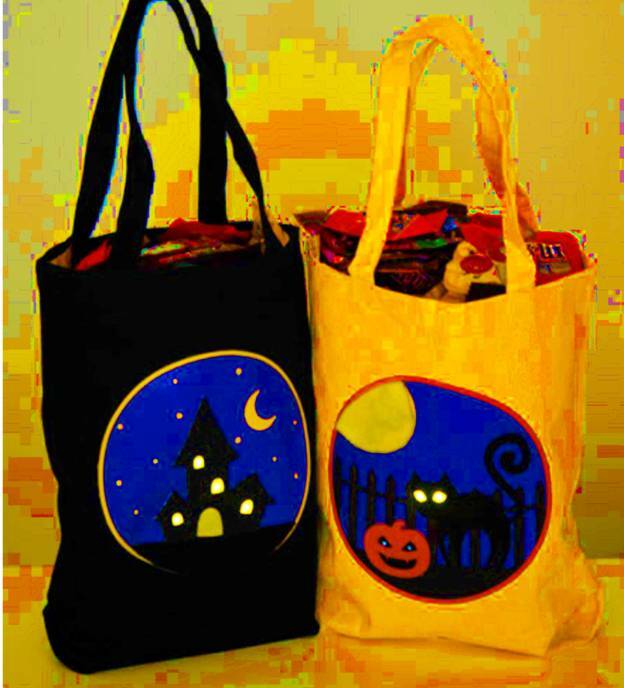 First, arm yourself with a large bag and pay a visit to your nearest park, beach or wood. Walk slowly around the perimeter, stopping every few steps to recite, ‘What can we see?’ This exercise will help get your child used to actively observing what’s around him or her. Take turns in saying what you can see and collect small items such as fallen leaves, acorns, pebbles, shells and feathers (make sure that you’re allowed to do so – most public areas will usually have signs pointing out the rules). For each item collected, discuss with your child what it is and where it comes from as well as how it looks, feels and smells. Different shapes? Color? Smell? Find a long piece of fabric the length and breadth of a printed scarf. You don’t need to buy this, try looking through old, discard clothes which you can cut up. Gauzy or lacy fabrics work particularly well for this activity. Using strong white glue, stick each of your collected items onto the fabric – your child can arrange these as he or she pleases, randomly or forming a pattern. Once dry, the fabric can be used as a scarf or can be displayed in the child’s bedroom. If you prefer not to use fabric, you can make a traditional nature collage using thick card and white glue. You can use plain white card or get arty by experimenting with different colors. As before, take your child on a nature walk and collect items of interest. Back home, you can glue the items onto your card. Encourage your child to write or draw on the card too. Try getting your child to look through magazines to find pictures of the items you’ve collected which can then be added to the collage. 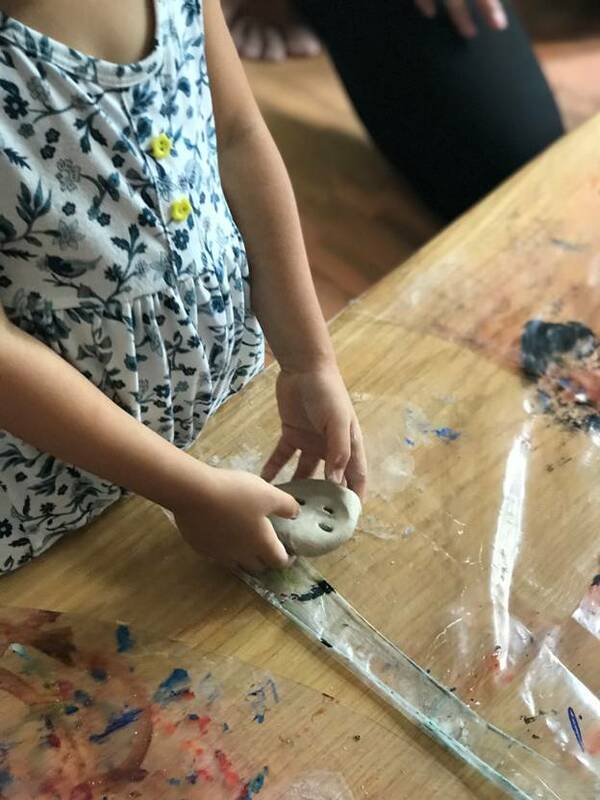 The great thing about any kind of collage is that there are no rules – meaning that your child’s imagination is in the driving seat!